Fresh Kenyans! | Small Batch Roasting Co.
We’re proud to kick off our new season Kenyan coffees with three gems. Unsurprisingly, given what you know of us (the fact that we do our own tricks in the sourcing department in a big way), this is just the tip of a Titanic-sized iceberg that will be melting in our mouths all year long. 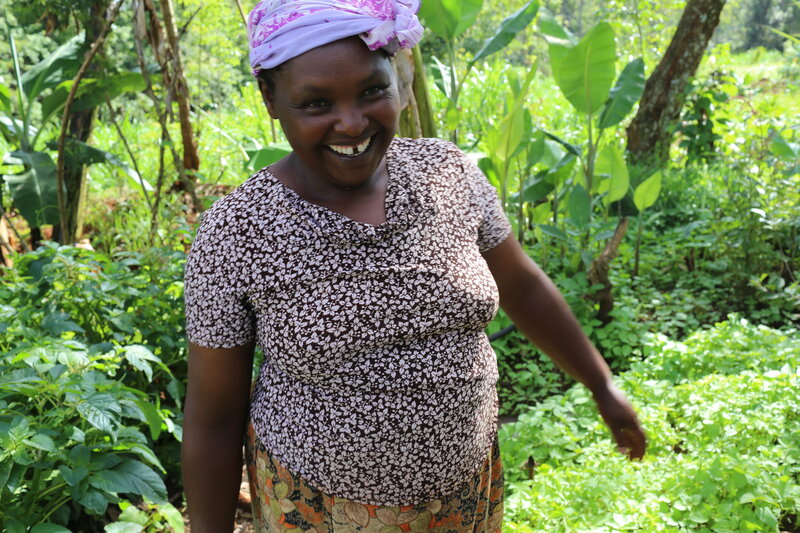 In Kenya, we source coffees from Co-Operatives and from smallholders. Our first releases showcase the heights the best Co-Operative coffees can achieve, the classic Kenyan fruit acidity the country has built its well-deserved reputation on. But after cupping literally hundreds of coffees on the ground throughout the season, our carefully curated selection reflects exceptionally sweet, luscious and buttery coffees. In coming months we’ll post about our initiatives with smallholders in Kenya – it’s a very rare thing indeed to be able to celebrate lots from small farmers given the highly controlled milling and exporting system in this country that will often not process anything less than 100 bags! We are strong believers in Kenyan espresso. We purchase a plethora of profiles to fit the purpose. While many of our stand-outs are way too fruit acid driven to be digestible as an espresso extraction, Kenyan coffee can often be full of velvety chocolate and creamy buttery goodness on top of which hallmark aromatics and fruit can play. So to launch, we’re bringing you the silkiest, creamiest and most (sorry Kenya) Ethiopian Kenyan we could find. The Kiganjo Co-Operative from the Kiambu County is our first release. Instead of mouth-puckering grapefruit acidity and complex savoury notes bordering on pine and tomato chutney, we bring you coffee’s equivalent of chocolate and ginger pudding served with a side of mango jelly (if that were a thing). This is a sparkling coffee backed by heaps of sweet fruit and chewy caramel. The peaberry lot from the same Co-Operative has made it to our esteemed Filter list and is all sorts of juicy blackcurrant, cherry-tomato jam and subtle caramels with lovely earl grey tea notes. We are very very impressed by the complexity of this coffee, the salivating Ribena acidity leaves you wanting more. Our second filter release from Kenya is Kiandu AA and what a wowser. This is a Co-Operative whose coffee we have frothed over in previous years, we are very pleased to have snapped up the latest and greatest. Another big-beaned AA, this is a fuller and creamier filter brew than the crispness of the Kiganjo PB. Deep fruit bordering on jammy Pinot Noir, caramel and custard, florals, and a whole lotta yeeeeuuuuum. A most delicious demonstration of balance and poise, very unique. 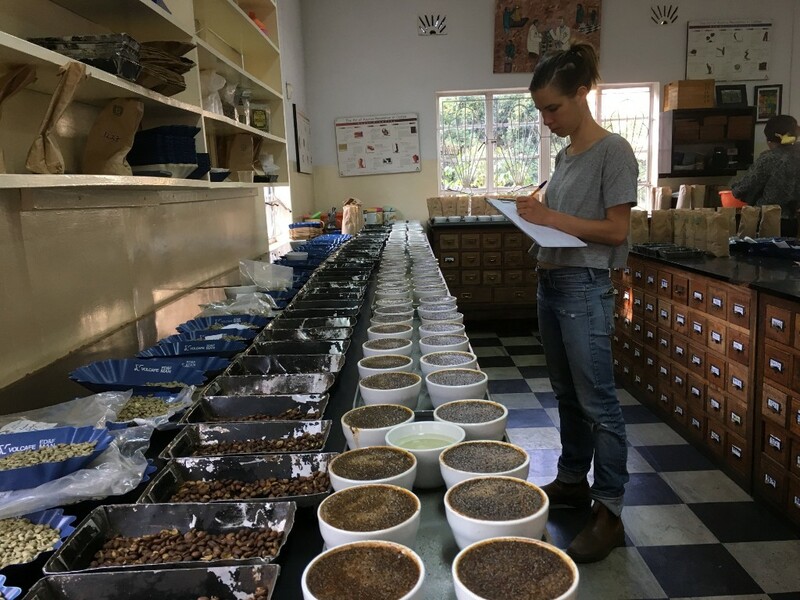 Selecting out the under and over-ripes before processing ensures a beautiful sweet cup of coffee, higher cupping scores, higher prices reached at auction, and more money back into the hands of Co-Operative members. 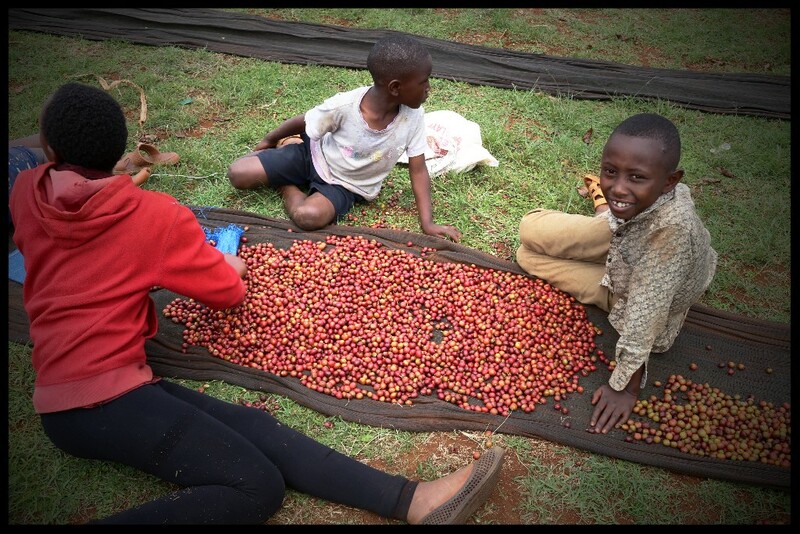 The Kiganjo Co-Operatives, in the county of Kiambu, receives cherries from local farmers and processes them to parchment form (have a google of ‘parchment coffee’. It’s the un-hulled form of coffee before being milled for export). The Co-Op forms part of the umbrella Thiririka Farmers’ Cooperative Societies that commercialise the coffees of three cooperatives in the respective regions. Day lots are delivered to the Co-Op’s chosen dry-mill, milled and sorted by size into separate lots. AA being the biggest (and most expensive), AB next down and Peaberry being the smallest of the exportable coffees (peaberries are round seeds that form in small cherries on the tips of branches, single-seed cherries where the rest of the shrub procures two flatter, larger seeds per cherry). These separated lots then go to market – either to the Nairobi Coffee Exchange which is a live auction where exporters bid for different lots, or via the ‘second-window’ model whereby nominated marketing agents (legally obligatory middlemen) negotiate with importers on behalf of the producers. 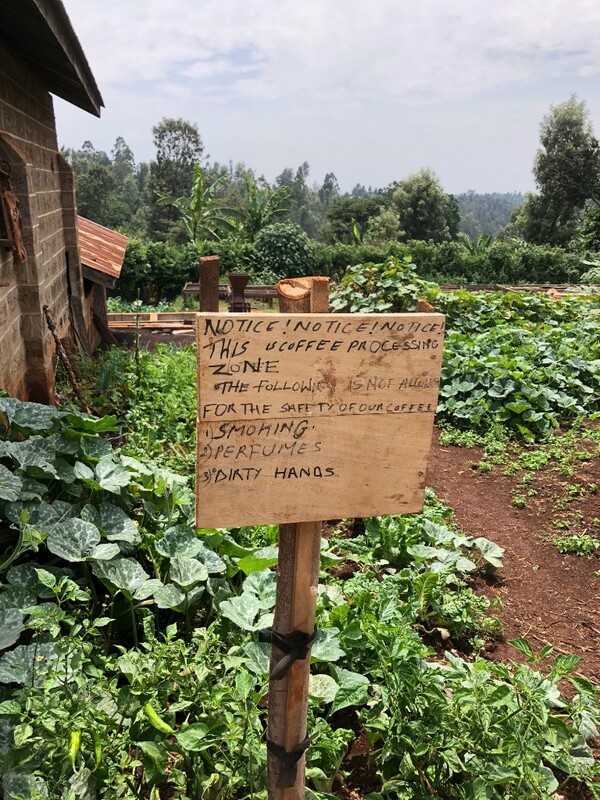 We purchase our Kenyan Coffees through the auction system – highly bureaucratised and complicated but still the most transparent way to trade in Kenya. Here, each dry-mill releases coffees weekly to auction throughout the season. All the licensed exporters (legally there are very very few licensed exporters) cup every auction lot before the day (hundreds!) and then bid on coffees in person. Very old-school. We instructed our exporter to purchase these lots on our behalf after cupping in Kenya the week before they went to auction. We made sure we were there on several occasions and receiving samples in Australia throughout harvest to be able to cherry-pick from an incredible amount of lots. Soooooooo much cupping. Just a normal day in the coffice, split equally between the cupping table and the bathroom and finished with ample local beer. Kenyan coffee often totally bemuses people in terms of how it’s traded in-country. A highly bureaucratic system of milling and exporting – and definitely one that is susceptible to cronyism and subversion – puts the entire coffee trade in the hands of very few millers and exporters, as well as legally obliges all Estates and Co-operatives to sell their coffee via a ‘marketing agent’ who acts on their behalf. This means truly direct purchasing is actually impossible – because for us, direct is taking ownership of coffee from the person who produced it or via their voluntarily nominated and entirely neutral representative like a Co-Operative or Association. Given there is no such thing as buying in parchment in Kenya (which remains a shock to this day given how we work in the Americas), one either buys through the auction system or so-called “second window”, the ‘direct’ purchase model. On the surface, the direct purchase model sounds attractive but in fact, it is not in many ways. Small Estates and Cooperatives need to sign up to a marketing agent annually and are then required to only have that marketing agent sell the coffee to an overseas buyer. But the marketing agent is, more often than not, part of much larger corporations that own dry-mills and exporting licenses. You can imagine how marketing agents would rather facilitate these kinds of direct sales to their crony clients than genuinely search for the highest paying buyer, so that the affiliated exporter is taking the final margin. Farmers are basically still very vulnerable to the limitations and control exercised by the marketing agents, who charge a fee for their service that may be negotiated at the time of final price discovery or simply be undisclosed. We have instead chosen to work with as non-aligned and aloof an exporter as exists in Kenya. Our exporter has no affiliated mill or marketing agency. Via this partner, we get to simply and transparently bid at auction and also implement some really cool smallholder projects. We strive year on year for depth and repetition of purchase from our little emerging posse of small producers based in Kiambu County and we are super keen to build enough trust with these small and still vulnerable Estate owners to enable us to proselytise along the transition-to-organics lines that we have long done in the Americas. Until our model gets real traction when it comes to implementing true regenerative practices, we have to content ourselves with simple things like encouraging the maintenance of “blue grass” between the rows (rather than using herbicides to clear weeds), encouraging the farmers to keep their old SL varietals and working towards a holistic practice of controlling disease, and implementing better pruning practices to improve yields. We’re strongly committed to making headway in Kenya: firstly, to being a solid partner to the people who rely on us, even in a small way; secondly, to improving farm sustainability; and lastly, (but firmly) to processing improvements. Somewhat sadly given the cliched view of soil quality and climate richness, Kenya remains a country where sustainable agriculture is far too rare. And, despite the world- leading high prices paid on the ground there, farmer welfare still remains an issue. There is an entrenched culture of excessive amounts of fertiliser use, which in the vicious-circle way that the green-revolution gave us, the more chemical fertiliser applications the more degraded soils become overtime, meaning plants are weaker and naturally need ever-increasing amounts of fertilisers, pesticides and fungicides to maintain yields. Organic matter in the famous ‘red volcanic soils’ is abysmally low in Kenya. From conversations we’ve had with Kenyan farmers, the equation of more ferts=more yield is gospel, and we haven’t met many people thinking outside of the box in terms of yield maintenance. As compared to our chosen Colombian producers who often don’t want to spend the money on fertilisers and look to pruning and organics to make sure they meet their productivity needs, Kenya is a problematic place indeed. The only alternative solution to chemicals we’ve seen is simply buying more land to plant to coffee! Something we don’t recommend as this involves deforestation. Farming smart is a revolution waiting to happen here on the smallholder level. We say this because the reliance on fertilisers is a story fed by the National Coffee Research Institute and by the closely aligned manufacturers of these expensive products. And indeed, farmers are sternly told to only buy seed from the Research Institute, who breed these famed and protected Kenyan cultivars to rely on lots of chemical inputs to achieve required yields. That being said, there is of course an amazing local and historic knowledge of organic farming and composting. Household organic waste and manure is often applied to coffee farms along with synthetic inputs. Most small farmers also run dairy cows, milk being delivered to the local co-operatives. 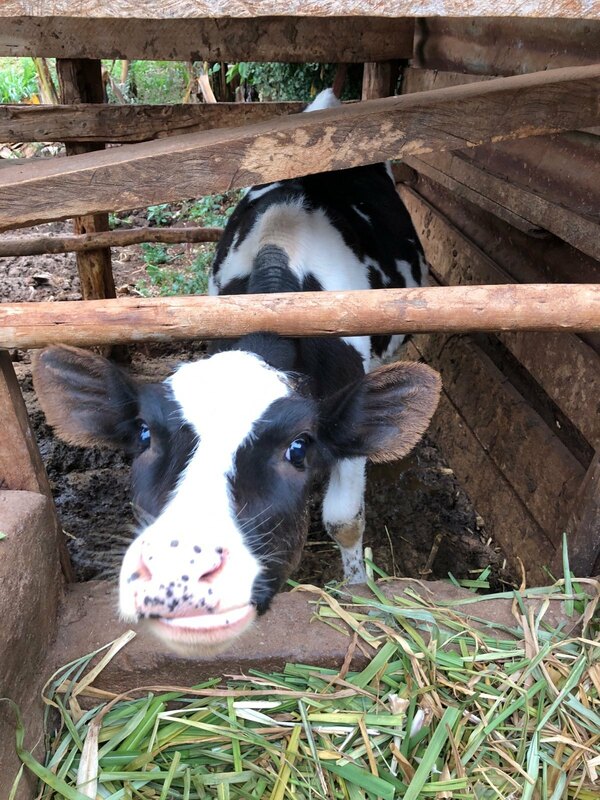 Incredibly, it’s totally commonplace to have bio-gas systems on small farms that take the methane from dung and coffee pulp waste, plus household organic waste, capture it and feed it back into the house to provide a safe and clean gas to cook with. And of course the perennial Blue Grass that prevents erosion is harvested and fed to the cows. We are making good headway in Kenya. We have gained the trust of farmers who are enthused to hear our stories from far-away lands of producers drastically reducing their on-farm costs as they transition away from petro-chemicals. On average Kenyan farmers are absolutely the highest paid in the world, but the percentage of earnings that end up in their pockets is dire – and this is directly due to the fact that they spend so much on chemical sprays and fertilisers. We are confident change can happen, and the key lessons we have learnt is that this happens one farm at a time. Gaining trust, making recommendations, the promise to purchase coffees at high prices are the first steps. This years coffees are exceptionally sweet and bright, and we have the same lofty hopes for the future of Kenyan farmers.